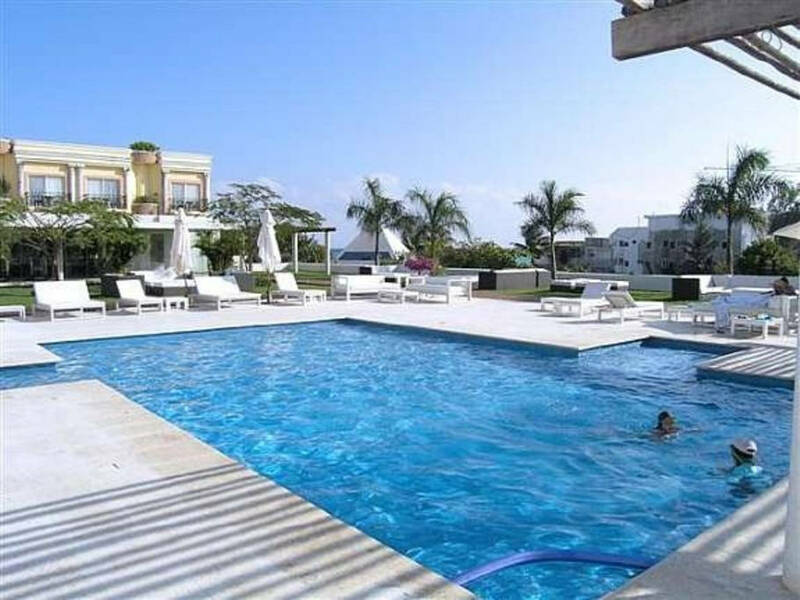 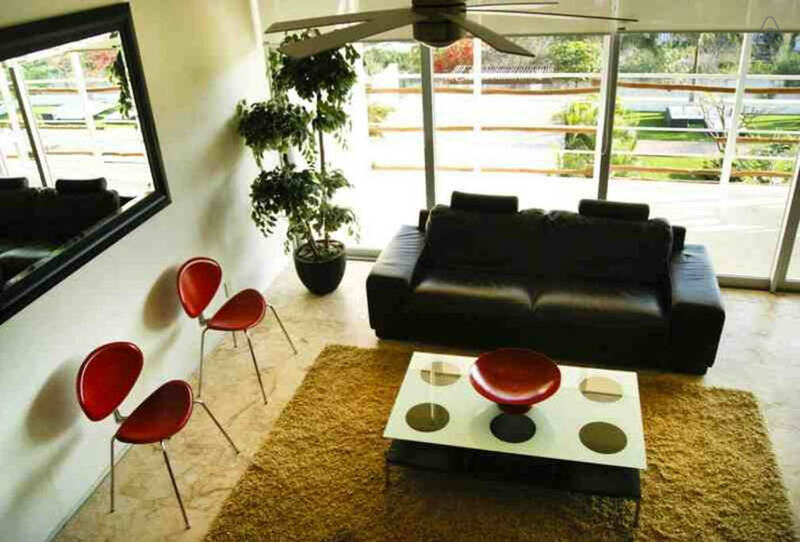 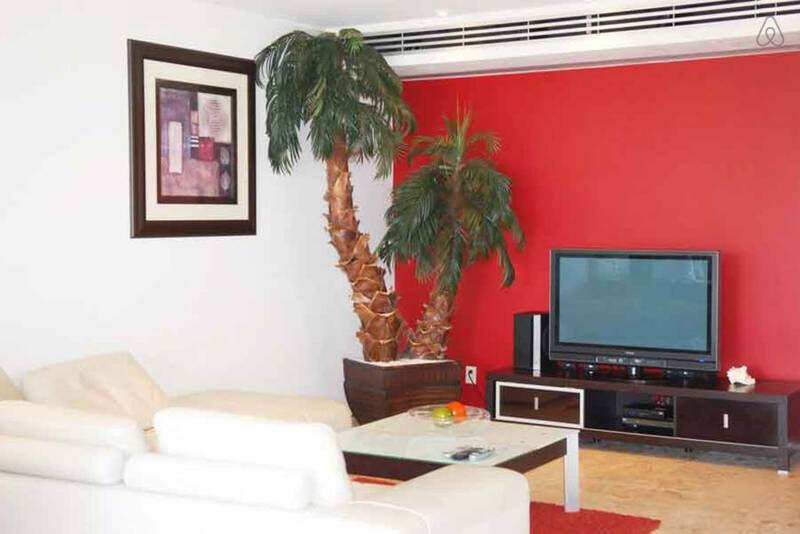 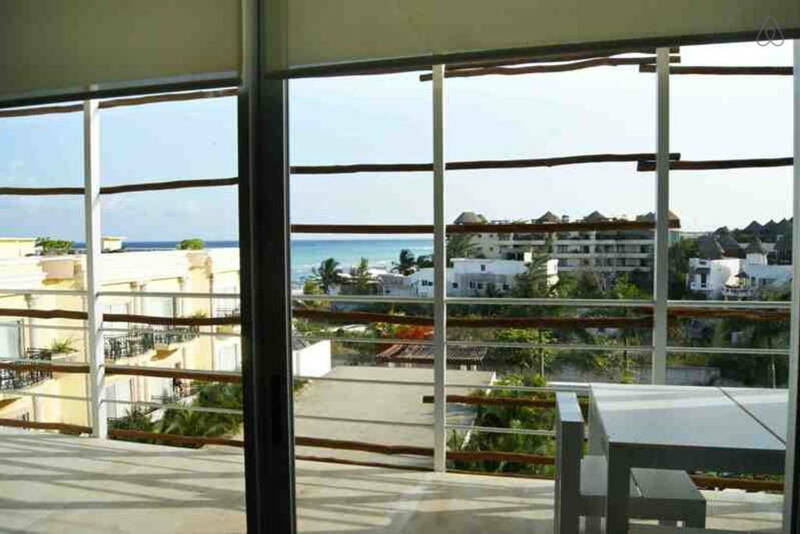 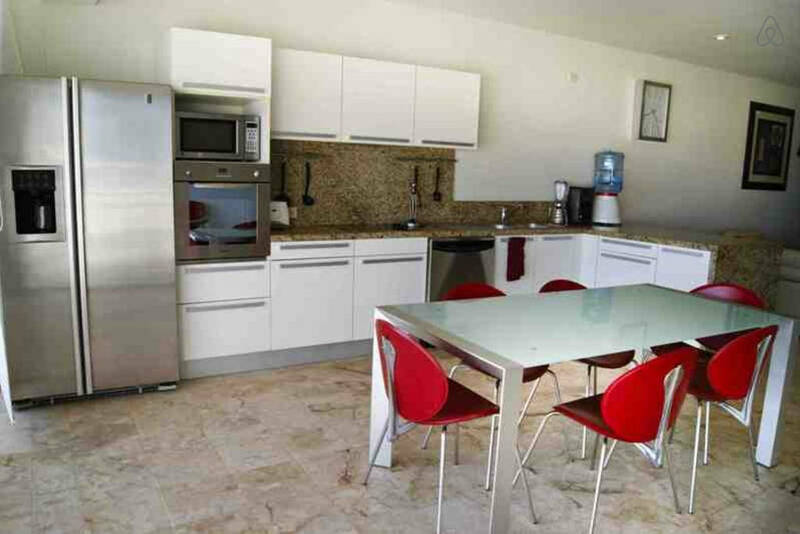 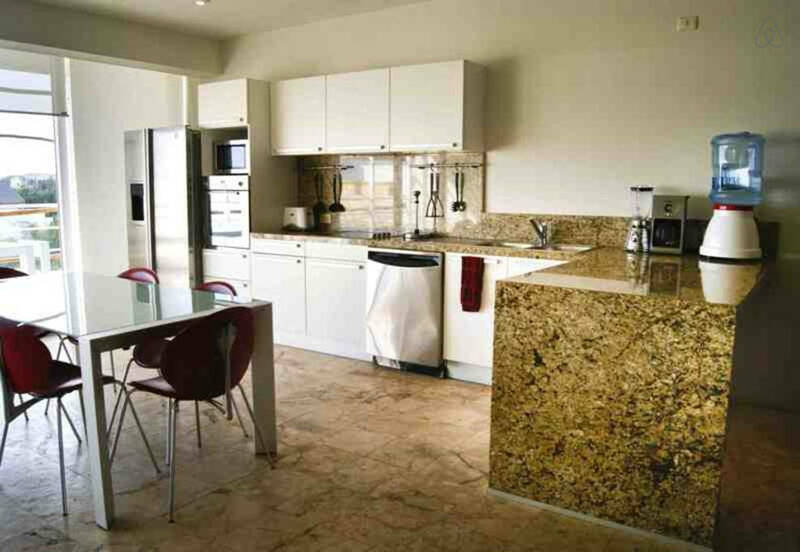 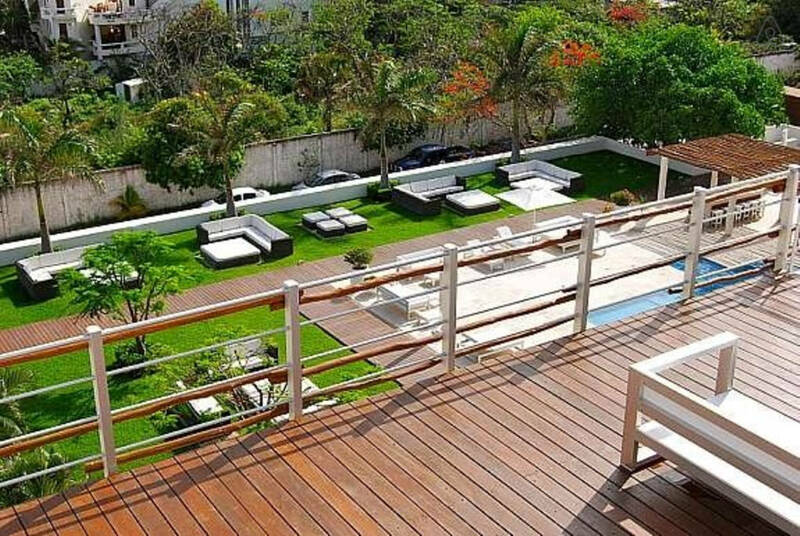 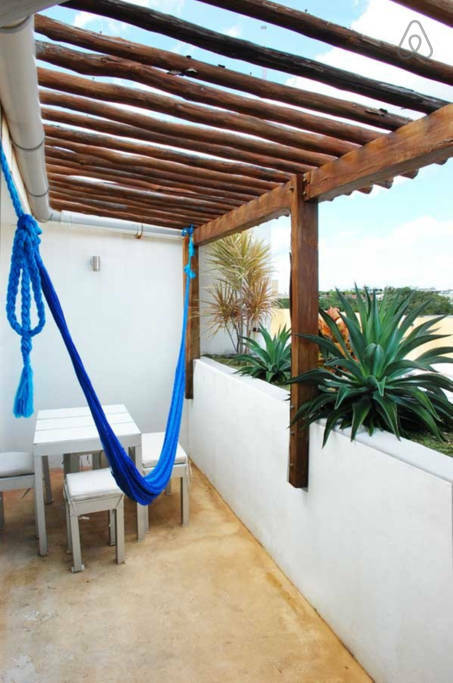 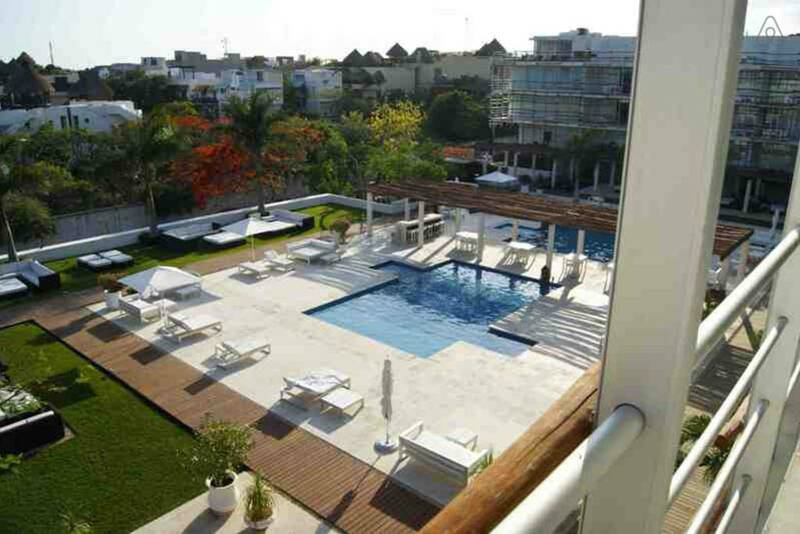 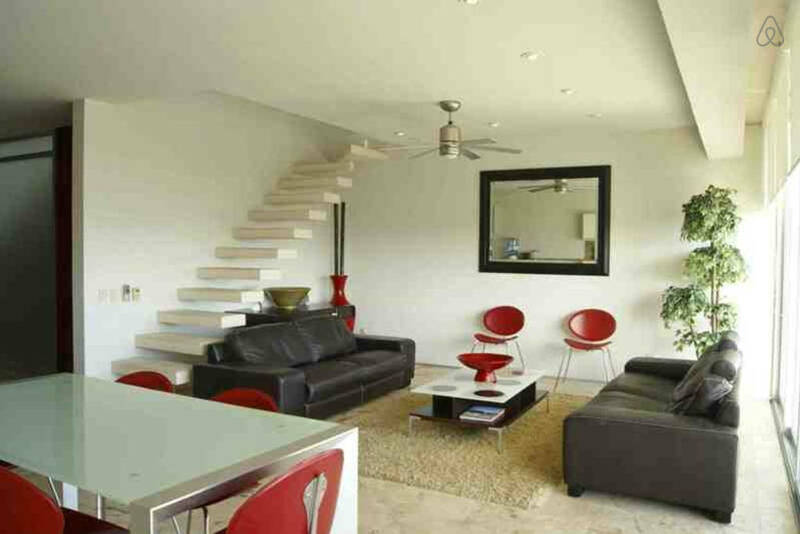 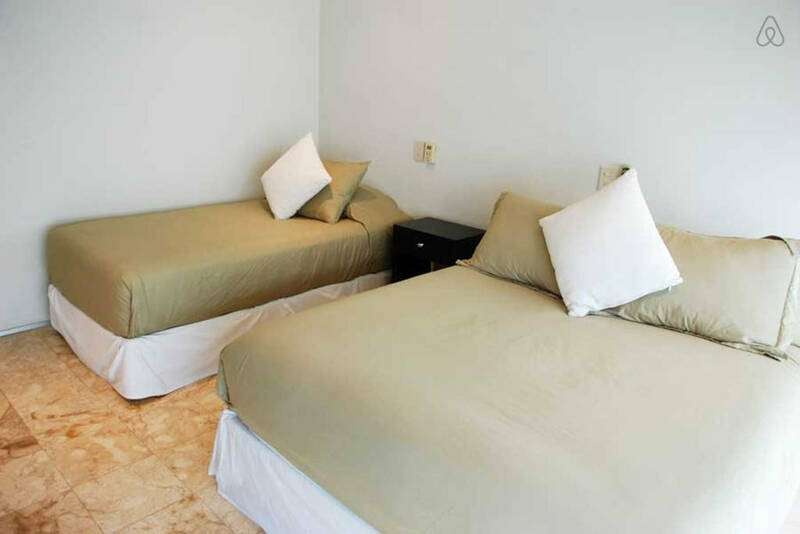 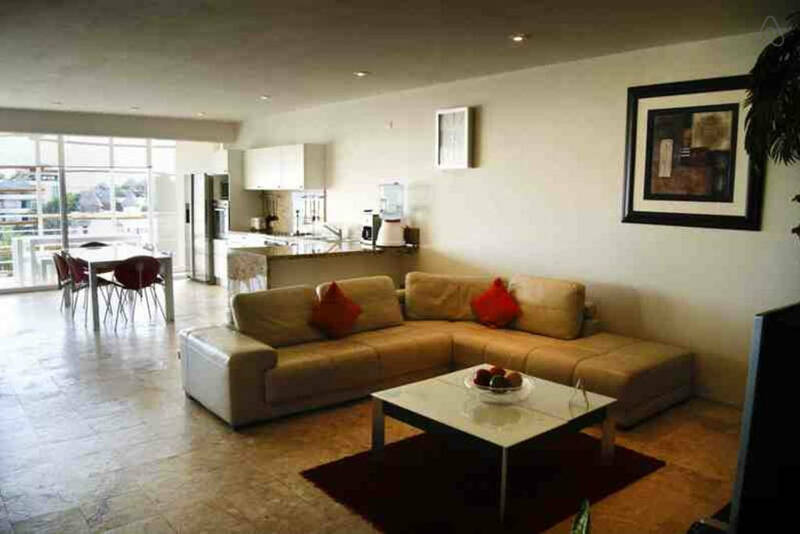 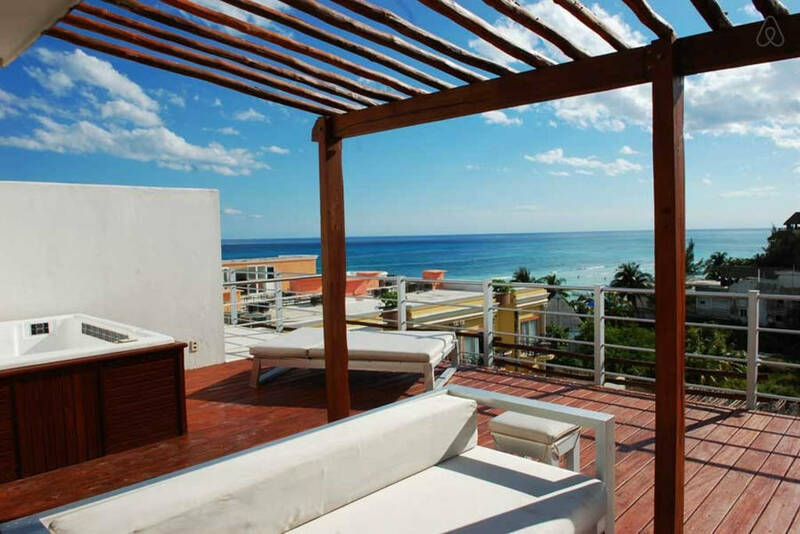 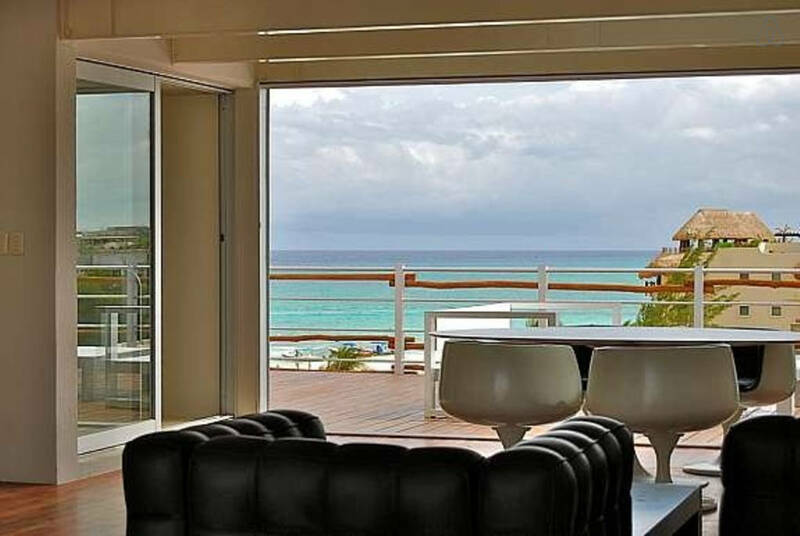 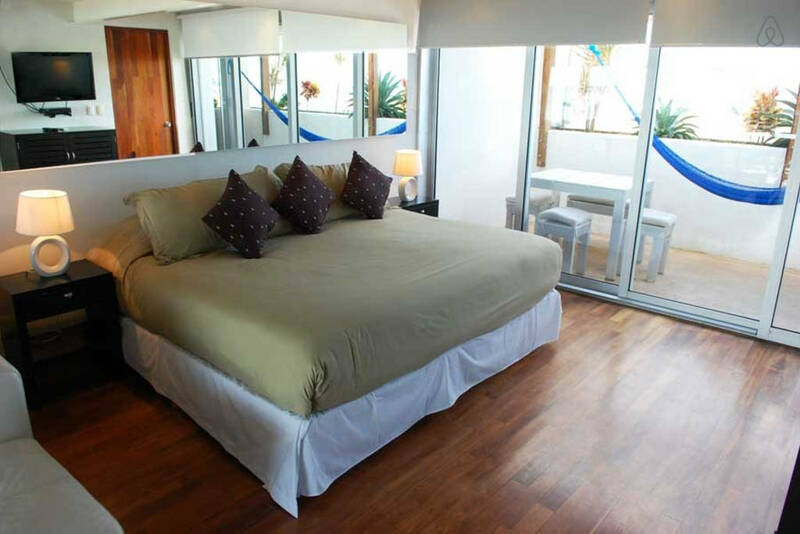 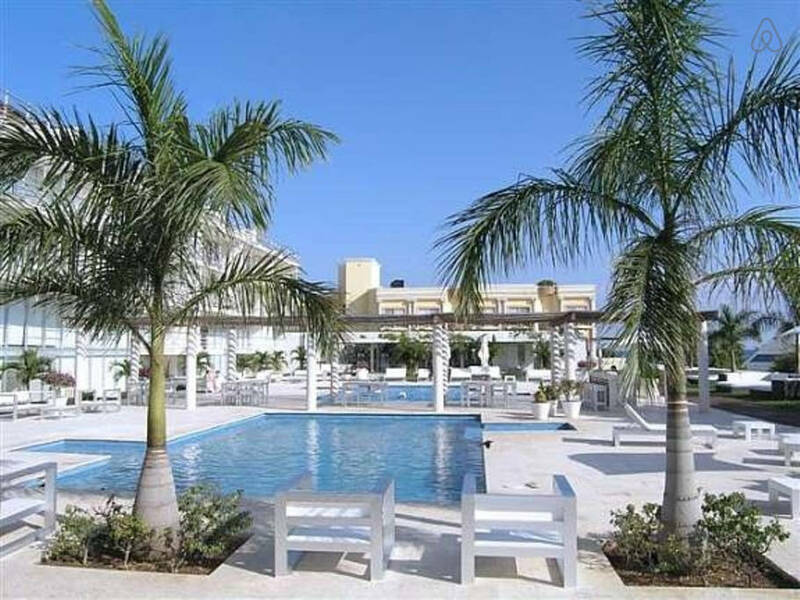 Magia’s location is just one of the many positive things about these vacation rentals in Playa del Carmen. 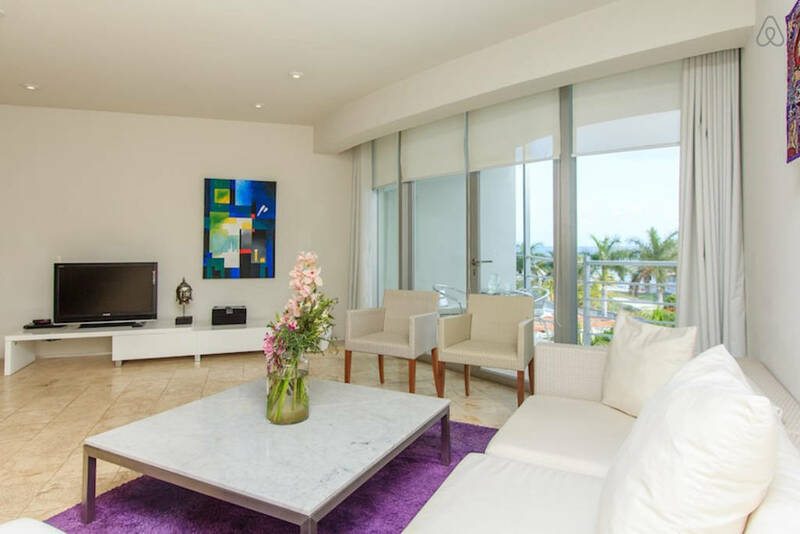 The amazing complex features swimming pools, gym, lounge areas, security 24/7, underground parking and stunning ocean views that will leave you breathless. 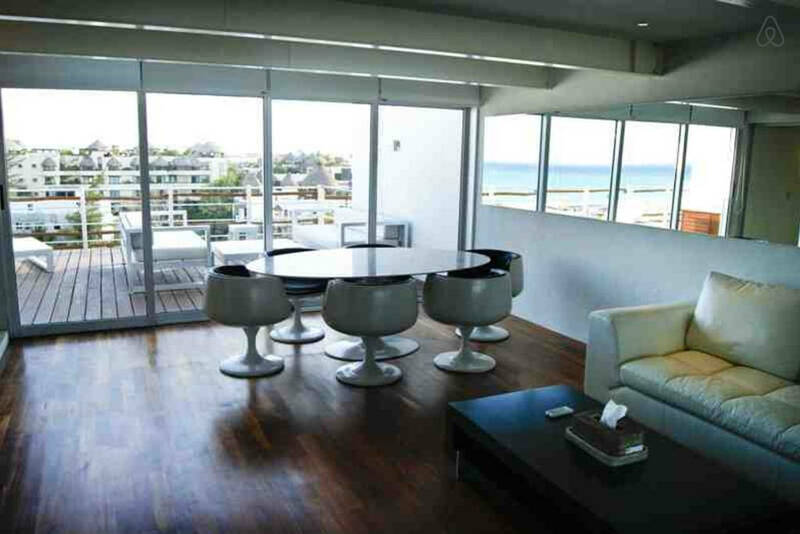 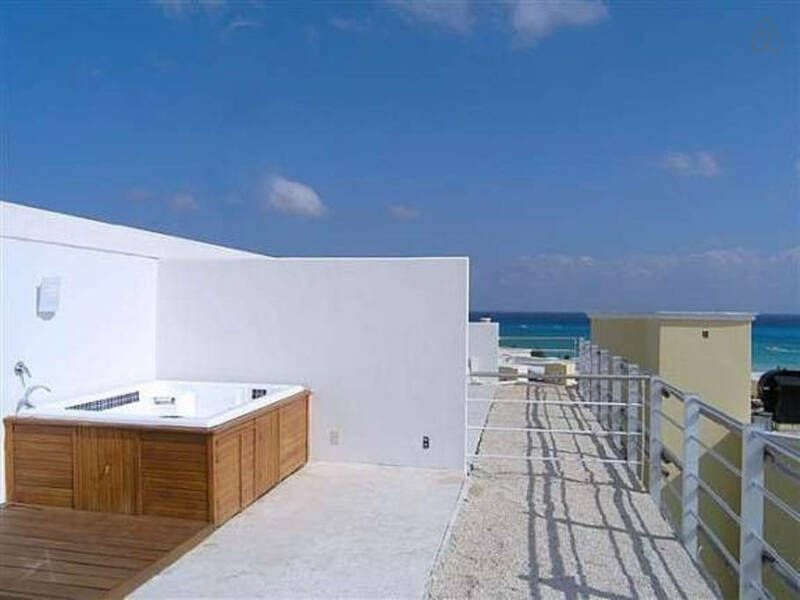 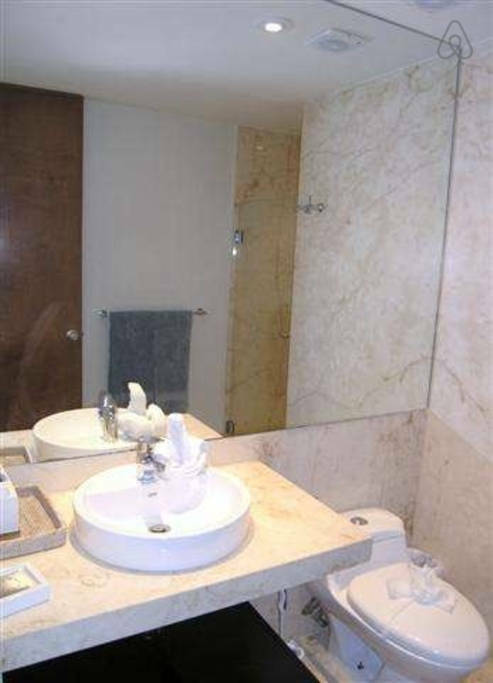 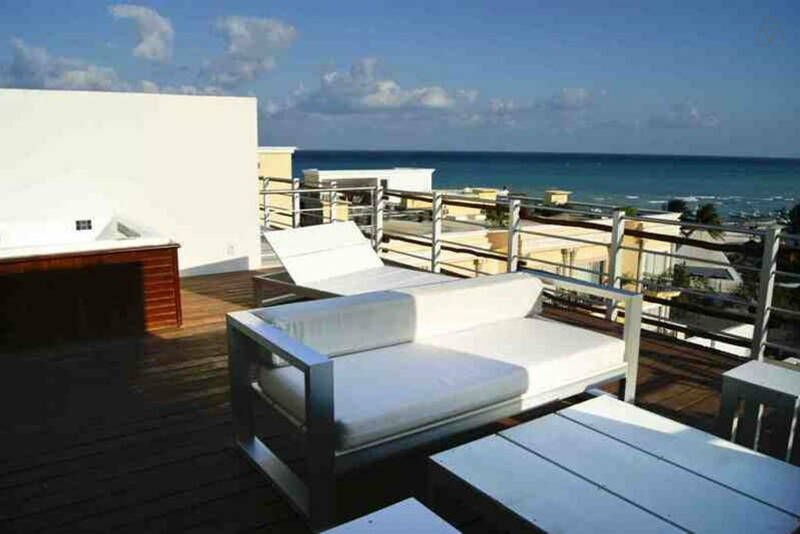 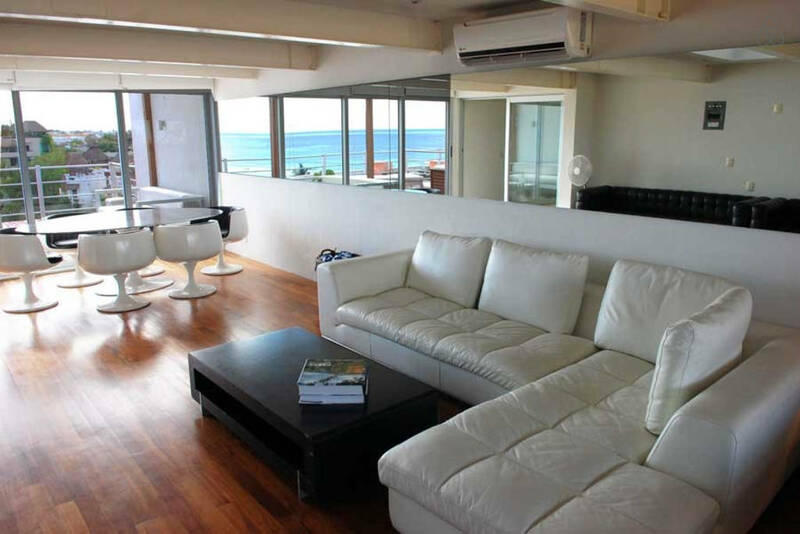 Magia Penthouse Dreams is a beautiful penthouse available for Playa del Carmen vacation rentals, with a great location, amazing ocean views and modern design and furnishings. 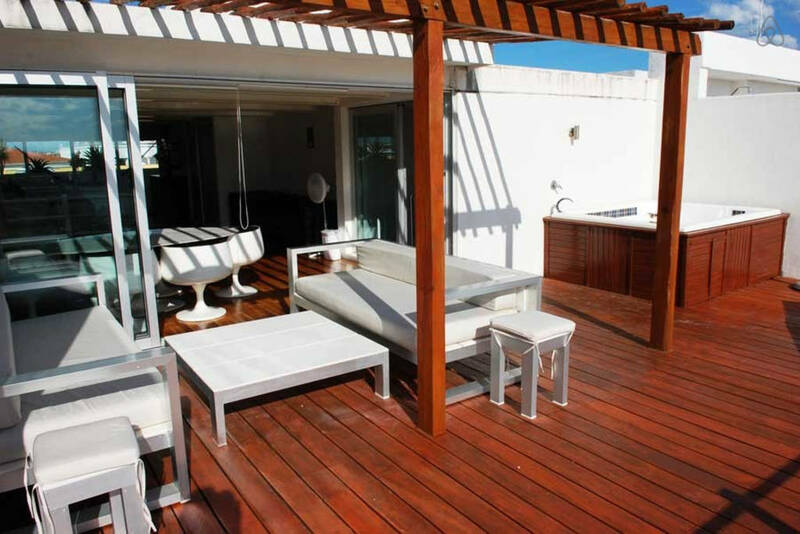 The first level contains a comfortable living and dining area, a fully equipped kitchen, and access to a lovely terrace with lounge chairs, perfect for enjoying your coffee and the morning sun. 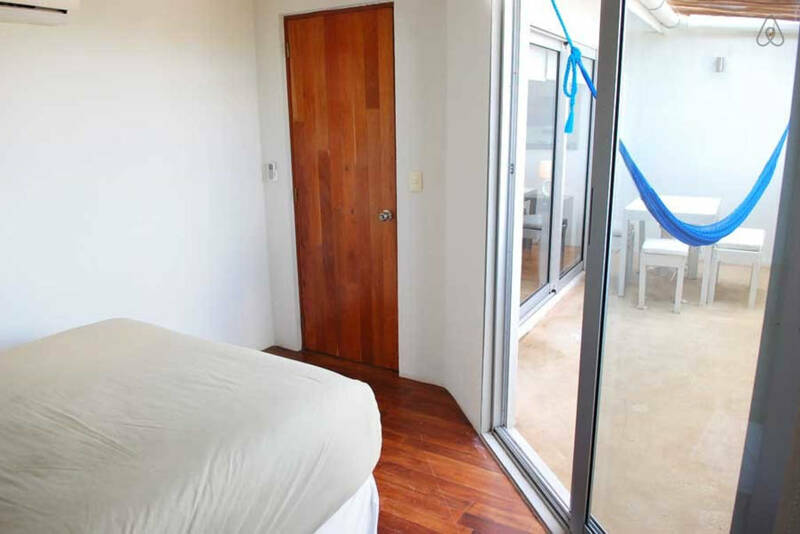 On this level you will also find a second living room, with sofas, satellite TV and DVD player, a master bedroom with king size bed and en-suite bathroom and a guest bedroom with a double and a single bed. 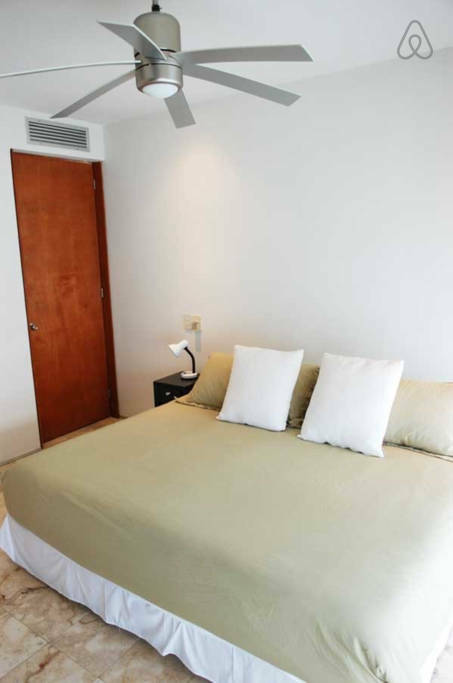 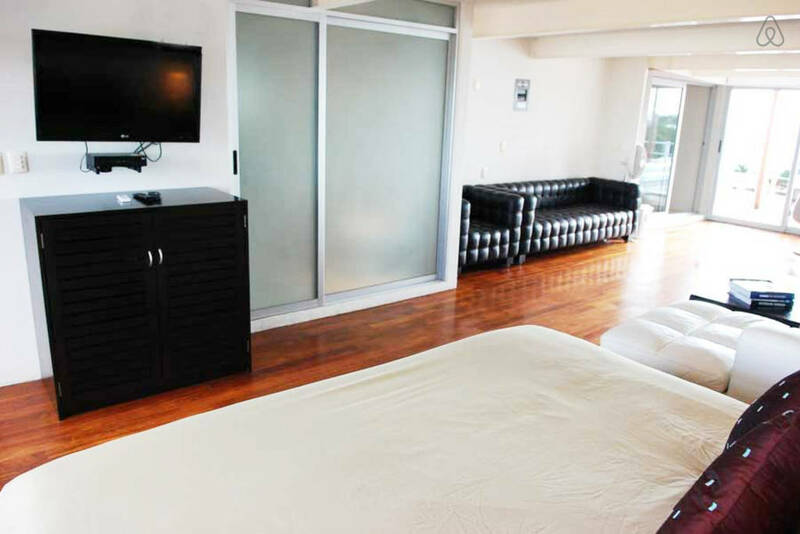 Head upstairs to find a third bedroom, containing a queen bed with access to a small terrace. 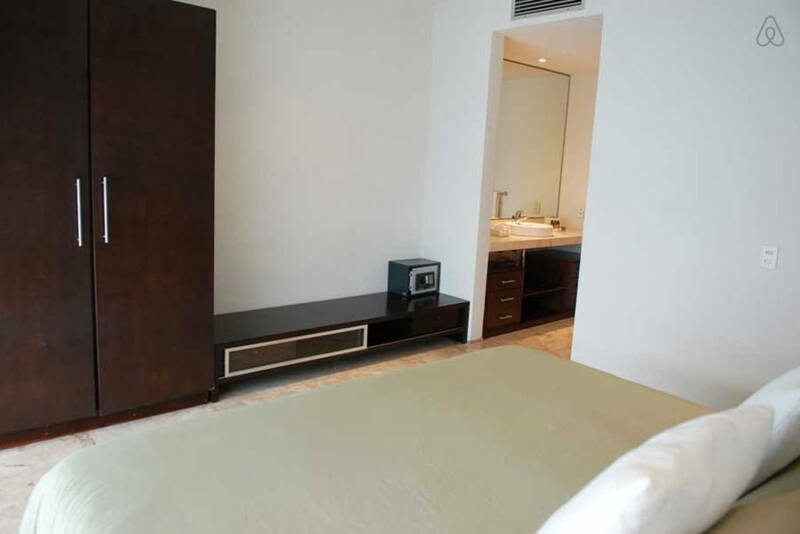 The 2nd floor also features a large studio with king size bed, a small living area with TV, table and incredible views of the Caribbean. 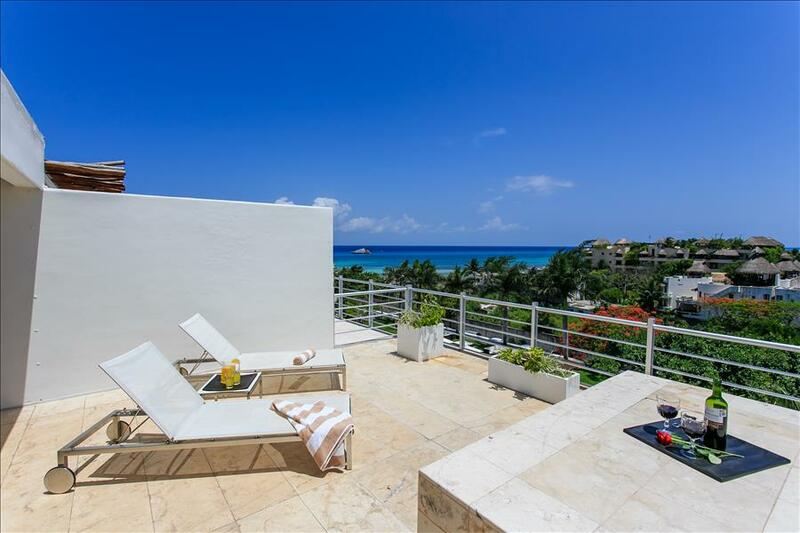 From the studio, access a private terrace with Jacuzzi and lounge chairs, a great place to relax after a day of fun at the beach.